Atlanta’s culture, architecture and urban design have come together to produce a city on the cutting edge. 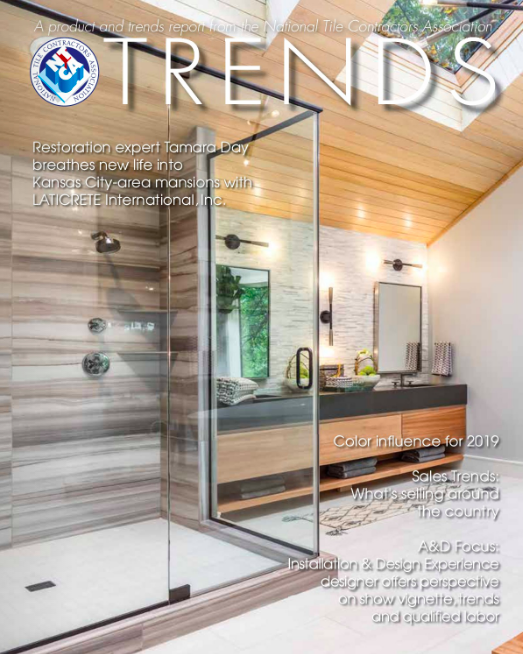 With Coverings 2018 set here, it’s a good time to “take a tour” of some of the newest residential and commercial projects in the South’s hottest city. MAPEI’s full system of products were used to waterproof, level, strengthen and add elegant finishes to five fabulous new projects shown here. The Arbor at BridgeMill is a luxurious new senior living community. The expansive campus offers state-of-the-art residences totaling 28 private cottages, 130 resort-style apartments and an exciting range of on-site amenities. Aspire Development Partners designed the community to accommodate retiring baby boomers, empty-nesters and previous homeowners who would like the assistance senior facilities provide without losing independence. 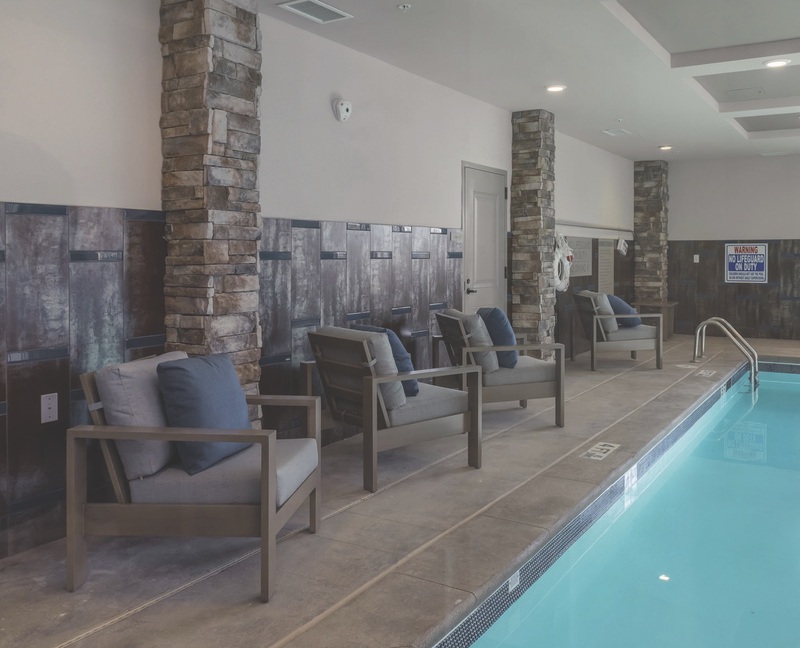 Each of the spacious cottages features an open- concept floor plan, resort-style living rooms, walk-in closets, walk-in showers, and supportive carpet in the bedrooms. 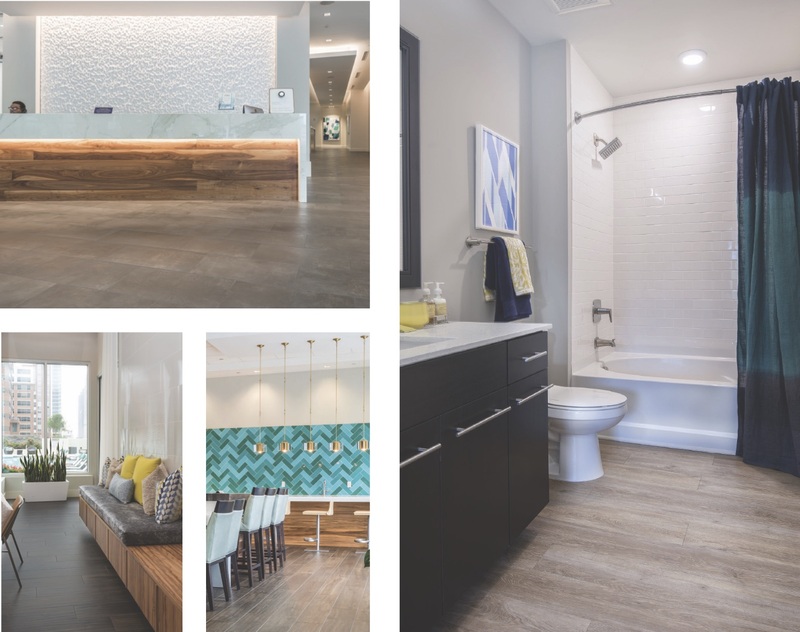 The multi-entryway bathrooms feature barrier free, zero-entry, walk-in showers to eliminate incidence of falls or slips. 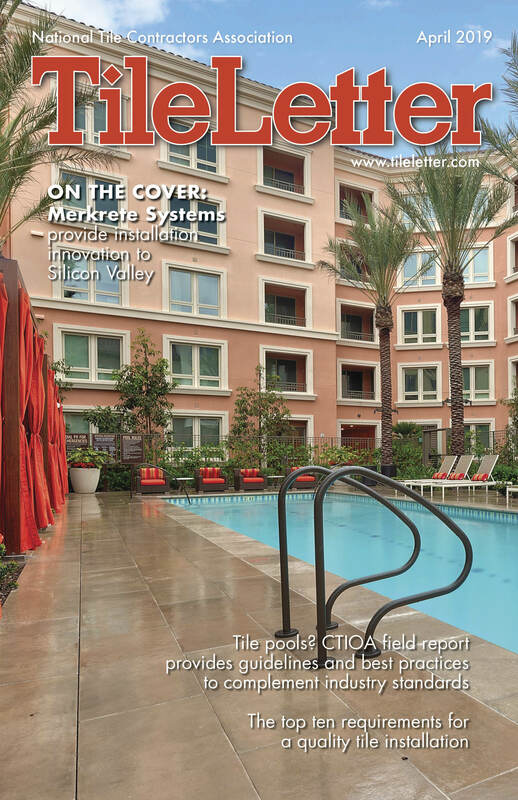 The installation team used Mapelastic AquaDefense to waterproof showers along with Mapelastic CI for crack isolation. 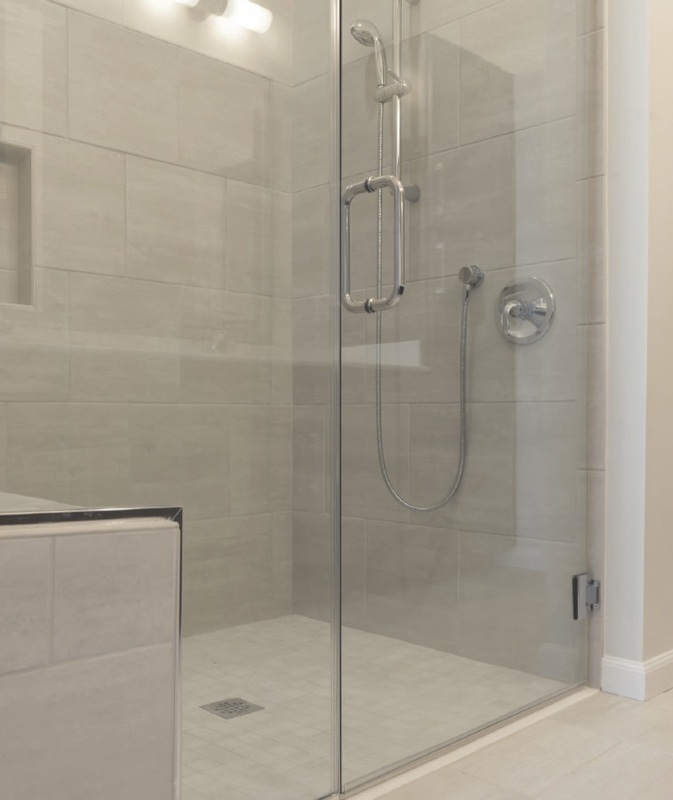 To set the sand-colored 13” x 13” Daltile Cove Creek tiles in the showers, Ultraflex LHT provided premium performance for a non-sag, non-slump installation. To grout the shower walls, Pro Floors installers used Ultracolor Plus FA in Pewter for its efflorescence-free application. 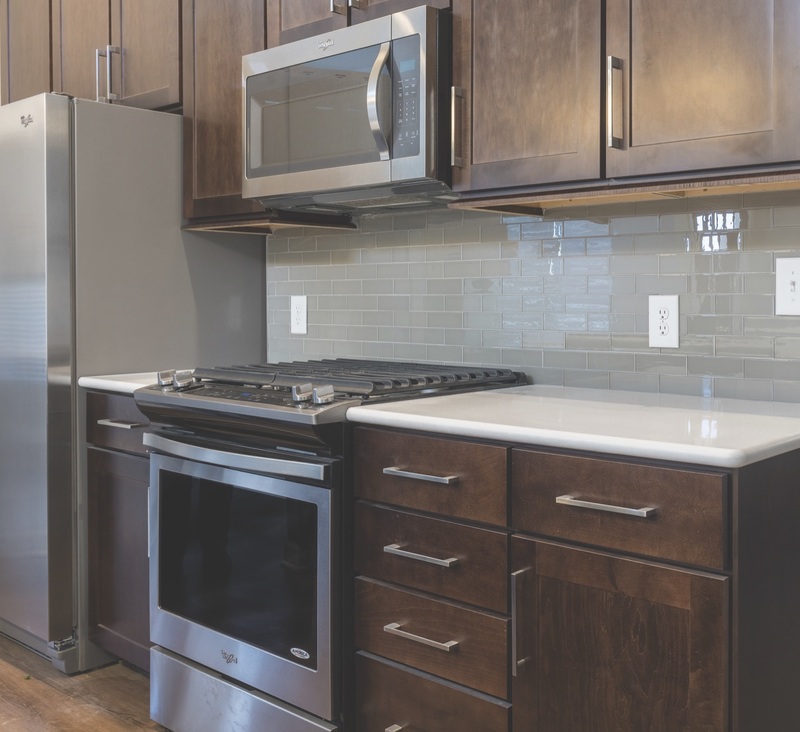 The serene glass tile backsplash was set with Adesilex P10 in each cottage kitchen. Commercial kitchens were set with 8,000 sq. ft. of 8” x 8” Quarry textured tiles from Daltile, using Ultraflex LHT and grouted with Kerapoxy CQ. Moisture issues were solved by using Planiseal MSP, a moisture-control membrane and self-leveling primer with fast track technology. Differentials with foundation walls in pool areas were resolved with Mapecem Quickpatch. Hanover Buckhead Village is uniquely located in the most prestigious residential location in metro Atlanta for affluent singles and city dwellers. It rises 21 stories, with 350+ units including penthouse suites, a state-of-the-art fitness center and many premier amenities. The luxuriously curved tower was developed by the Houston-based Hanover Company and designed by architectural firm Solomon Cordwell Buenz of Chicago. Installers used Ultraflex LHT to set large 24” x 48” white and gray marbled Calacatta Thorntree tile on walls, floors and the grand staircase in the impressive lobby. The installation crew first prepared the subfloor with Mapeguard UM. 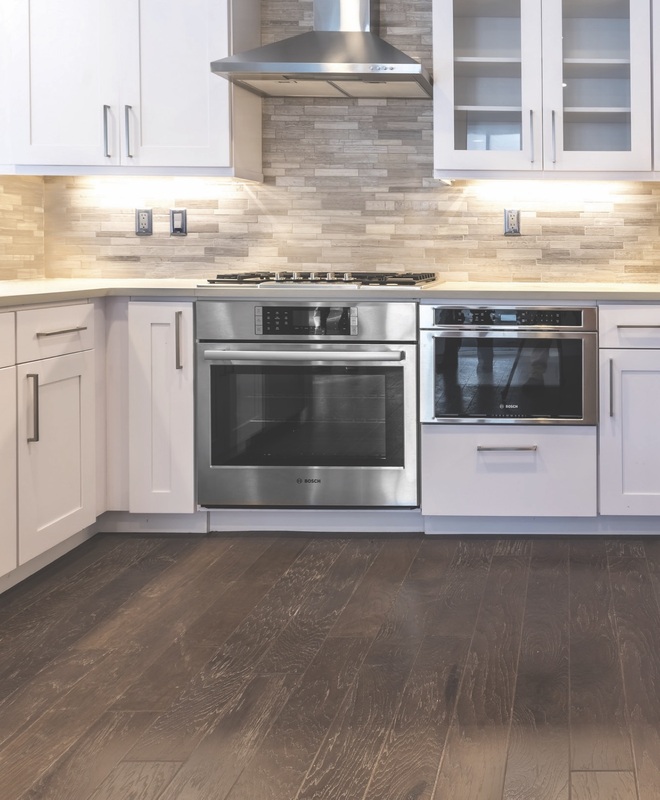 Large format 12” x 24” EuroMarmo Calacatta porcelain tiles were set with Ultraflex LHT, and grouted with Ultracolor Plus FA in Frost on bathroom walls, floors and the kitchen backsplash. In a unique and unconventional move, the entire complex utilized Ultraflex LHT mortar to set the condo number markers outside of each residence. 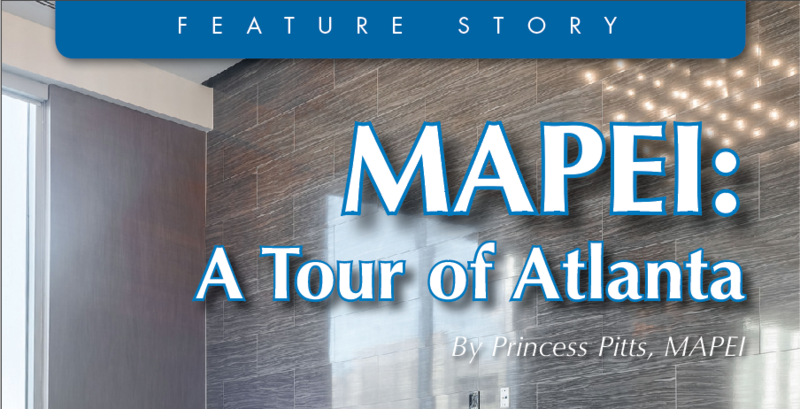 A full system of MAPEI products were used to construct this impressive new high-rise tower in Midtown Atlanta. 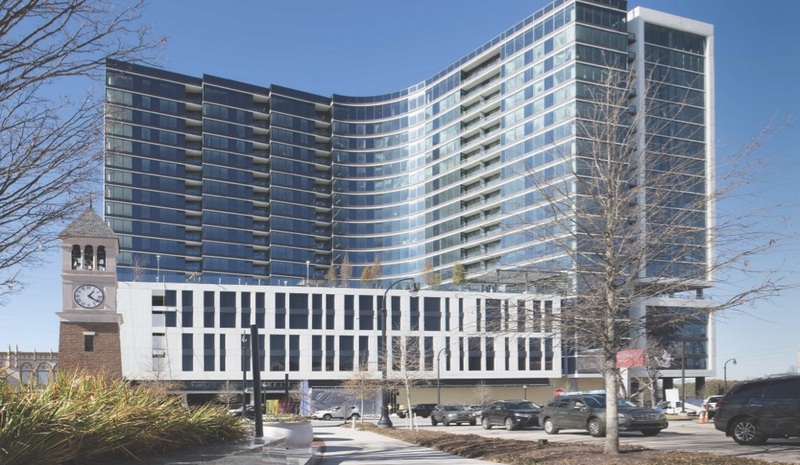 The living area begins on the seventh floor, sitting atop a six-story parking garage, giving all units a spectacular view of Piedmont Park and the surrounding areas of midtown Atlanta. The complex, designed by Rule Joy Trammell + Rubio, LLC, includes premium amenities on the seventh floor and a second amenity space on the 22nd floor rooftop. All the tile and wood flooring was installed with MAPEI products. In the urban-inspired lobby, Ultraflex LHT was used to set contemporary 12” x 36” Borneo blue tiles on the entry walls as well as large-format Concreteback Lappato black and Lappato white floor and wall tiles flown in from Spain. Strada Mist Ultraflex LHT was the mortar of choice to set the Veincut Marble polished mosaic tiles; they were grouted with Ultracolor Plus FA. 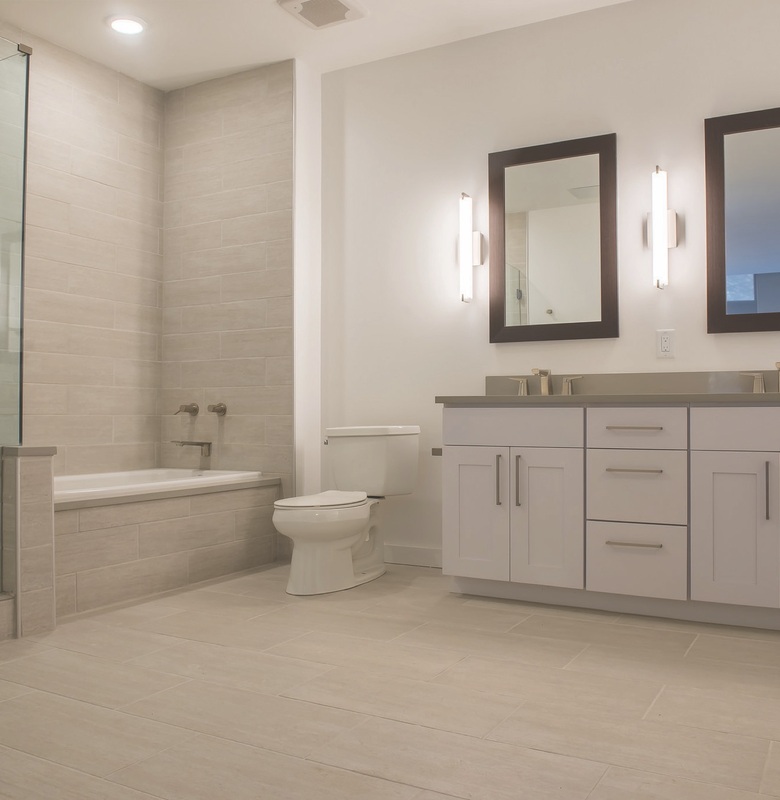 Bathrooms floors and walls were tiled with 12” x 24” Interceramic Porcelain Pewter tiles, using the same products. The three-story, 200,000-sq.-ft. Mercedes-Benz USA Headquarters under construction will house all corporate functions. 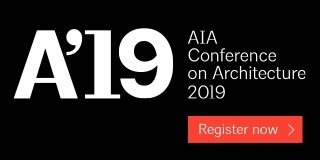 MBUSA President and CEO Dietmar Exler explained that “the idea of the building is cooperation and working together.” The emphasis on creating communal work areas led the architect Gensler to design exposed offices and collaborative workspaces in multi-functional rooms. Installers chose Planipatch and Ultraplan 1 Plus to flatten the substrate and level the floors. 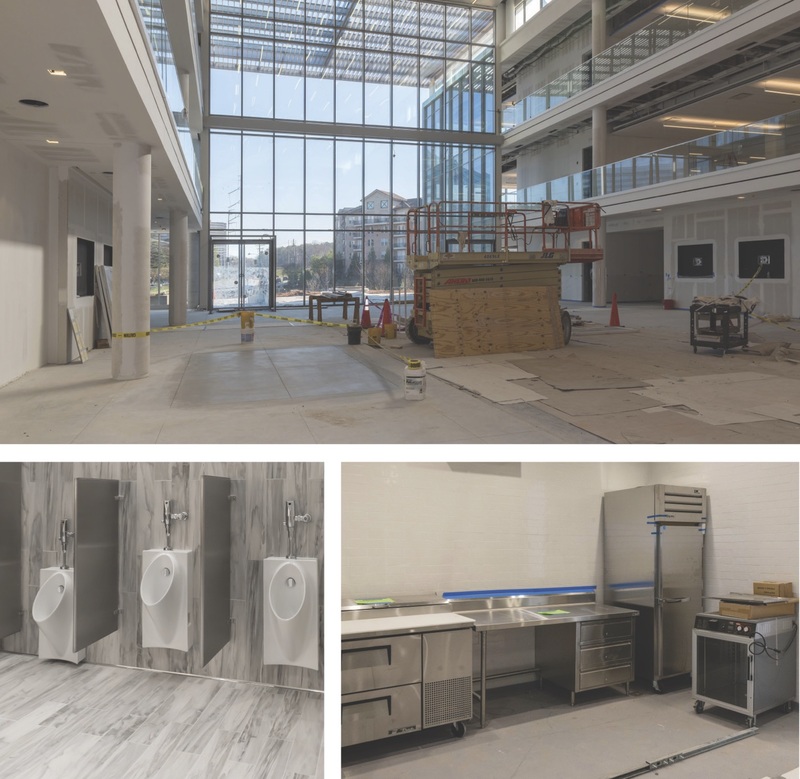 Keracolor S in Avalanche was used to grout white 6” x 36” Starker Porcelain tiles by Unicom in the building atrium, which doubles as a cafeteria and informal meeting area, as well as the area leading to the adjoining commercial kitchen. Keracolor S was also applied to marbled floors, walls, mosaic tiles in showers and the backsplashes in break rooms. As part of the revitalization of downtown Atlanta, the historic city is seeing a resurgence of new shops and luxe residential communities. Nine15 Midtown apartments fit right into the walkable landscape of the area’s mixed-use developments, with a design that emphasizes green living (the complex is on track to becoming LEED Certified). As part of the green vision, interior walls were limited, allowing the kitchen to seamlessly merge into the living room. Floor-to-ceiling windows, airy cloud-colored walls, wood-look tile in Pepe Root hues and glass mosaic backsplashes transform the combined space into a breathable indoor-outdoor experience. 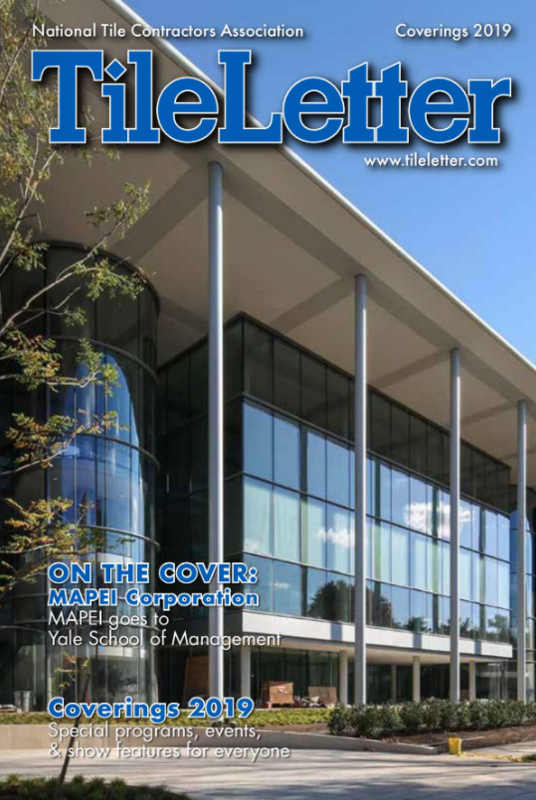 For surface preparation, MAPEI’s 4-to-1 Mud Bed Mix was used in the showers in conjunction with Mapelastic AquaDefense to waterproof the tub surrounds and showers. Ultraflex 2 anchored tiles from Shaw Floors’ Elegance collection, resulting in a glossy and sleek finish. Installers used Adesilex P10 to set the translucent Random linear mosaic tiles by Elysium in the kitchens and bathrooms. For the finishing touch, UltraCare Grout Sealer provided protection against common stains without altering the color of the grout joint.